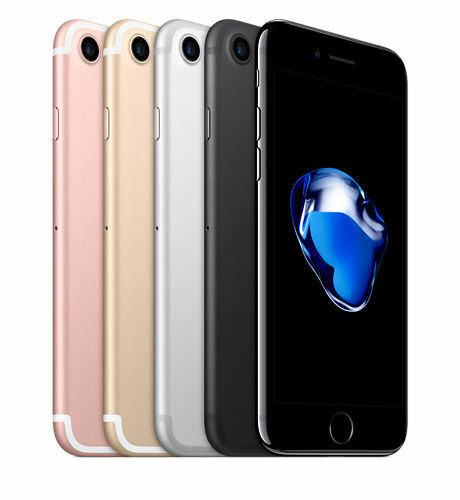 Home › Reviews › Samsung Galaxy S7 vs. iPhone 7: Which One is The Best Smartphone of 2016? Prior this year, Samsung manufactured the winning smartphone of the year, the Galaxy S7. However, the iPhone 7 is also a big challenge against the Galaxy S7. The iPhone 7 provides strong hardware and a sleek design. The Galaxy S7 is a superbly appealing handset, featuring a thin 142 x 70 x 8mm chassis with a weight of only 152g. With the deviceâ€™s edges framed in metal, the phone features an attractive glass back and front. The phone is available in 5 colours: Pink Gold, Silver, Gold, White, and Black. Till date, this is the most attractive smartphone of Samsung. The iPhone 7Â also looks good with its sleek 7.1mm chassis and antenna lines. The handset weighs only 138g and it’s little smaller than the S7 due to its tiny display. This phone is also available in 5 colours: Glossy Jet Black, Black, Rose Gold, Silver and Gold. Although both the S7 and the iPhone 7 are water-resistant, there is a little difference also. The Galaxy S7 is IP68-certified, whereas the iPhone 7 is IP67-rated. Although the iPhone 7 is attractive, in our eyes, the S7 is the definite winner for design as its sleek glass design is just amazing. The S7 boasts a colourful 5.1-inch super AMOLED display with a hi-res of 1,440 x 2,560 pixel. The screen is totally protected by Corning Gorilla Glass 4. Ultimately, Samsung provides an Always-On display setting, which helps you get time, date and notifications on your screen always. The iPhone 7 also comes with a 4.7-inch Retina HD display but with a lower resolution of 1,334 x 750 pixels in comparison with the S7. Although the screen is not up to the mark, the iPhone 7 features lots of improvements in other areas. For instance, the colour gamut now hits the video standard. The phone also benefits from 3D Touch. Although the wider colour gamut of iPhone 7 is superb, we canâ€™t underestimate the S7 also as its super AMOLED panel is very bright and still competes other phones on the market. The Galaxy S7 released with the greatest hardware available of that time. The phone comes with Samsungâ€™s own Exynos 8890 processor with a clock speed of 2.3GHz, and it has 8 cores and boasts a Mali-T880 MP12 GPU. It also features 32GB or 64GB of storage which can be expandable up to 256GB with the support of a microSD slot and 4GB of RAM. On the other hand, the iPhone 7 features Appleâ€™s all-new A10 Fusion 64-bit chipset with Quad-core processor which promises high-performance and handling of tough tasks. The iPhone 7 also features 2GB of RAM. Although the S7 is good on specs, the iPhone 7 offers the greatest speed in terms of handling all tough tasks easily. There are 2 new stereo speakers found on the iPhone 7, which is an area where the S7 cannot keep up as it features a poor single speaker. However, the iPhone 7 doesnâ€™t have a headphone jack, unlike the Galaxy S7. The Galaxy S7 runs on Android 6.0.1 Marshmallow, although Android 7.0 Nougat has been already released. By comparison, the iPhone 7 runs on Appleâ€™s latest custom-made iOS 10 software. For this software, the phone features many new aspects. There is no definite winner in terms of iOS and Android; it completely depends on personal choice. The Galaxy S7 features a 12MP camera with a wide f/1.7 aperture and some additional features like optical image stabilisation, LED flash and phase-detection autofocus. In front side, it has a 5MP selfie camera with auto-HDR mode and f/1.7 aperture. S7â€™s cameras come with the inbuilt Dual Pixel Technology. The iPhone 7 also has a 12MP rear camera with enhanced 6-element lens, a wider f/1.8 aperture and a new Quad LED flash. In terms of camera, the S7 seems to be more trustworthy. The little wider aperture on S7 also offers better depth of field. However, both shoot smoother 4K video. The S7 is backed by a non-removable 3,000mAh lithium-ion battery, whereas the iPhone 7 features a non-removable 1,960mAh battery. The iPhone 7â€™s poor battery life is the one biggest reason we can recommend you to buy the Galaxy S7. 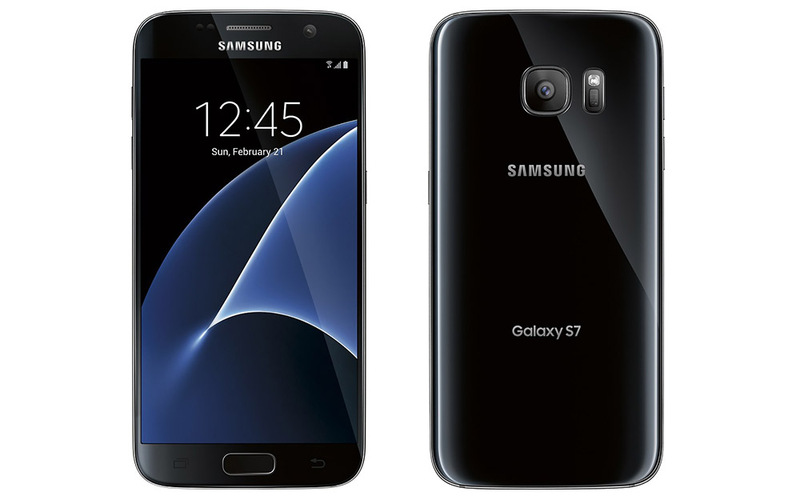 Since 11th March 2016, the Galaxy S7 has been available on Amazon at the price range between Â£475 and Â£519 depending on the colour you choose. Now the iPhone 7 is available with costs starting at Â£599, increasing to Â£699 for the 128GB option and Â£799 for the 256GB option. Thus, the S7 is significantly lesser expensive than the iPhone 7. Undoubtedly, the S7 can be the winner of this battle easily. Albeit, the iPhone 7 comes as water-resistant and with an attractive look, it fails in other few areas. In comparison with the iPhone 7, the S7 features a better screen and the removal of the headphone jack is another drawback of the iPhone 7. However, if you are an iOS fan and loves the simplicity of Apple, then you should definitely go with the iPhone 7.